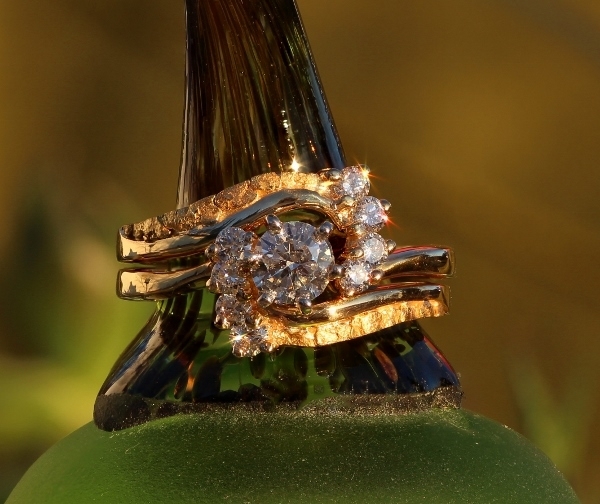 Natural Alaskan gold nuggets accent this lovely 14kt yellow gold wedding set. This ring can be customized by changing the size, color and clarity of the center diamond, or by changing out the side diamonds to colored stones of your choice. Call us today to discus how to customize this wedding set for you 907-456-4991.